Ive worked a lot with people with Parkinson’s disease, or more correctly those who have Parkinsonian symptoms. So, Ive learned heaps from just working with people, studying neurology, asking questions as well as trying stuff out. So due to the amount of information this will cover two blogs. I’m going to make my work into a practical workshop to anyone can make a home program, which will be presented at the Parkinson’s North Yorkshire AGM, Ill film it too so that it can be viewed by a wider audience. So, this months blog is about Parkinson’s disease and some easy neurological exercises that can help with some of the problems associated with having parkinsonian symptoms. 4. The vestibular system, particularly the anterior canals, as they are linked to the frontal lobe and are more affected. 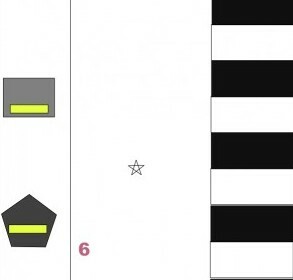 An upward OPK (opto kinetic reflex) trace is great stimulation for the midbrain and the anterior canals, this is what the black and white stripe on the featured image is. There is also an app called optodrum which can be obtained for apple and android devices.